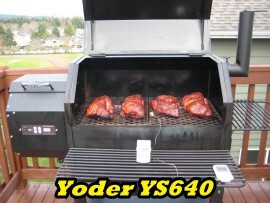 SmokingPit.com - Pecan & Cherry Smoked Cuban Style Mojo Citrus Chicken Yoder YS640 Slow cooked. 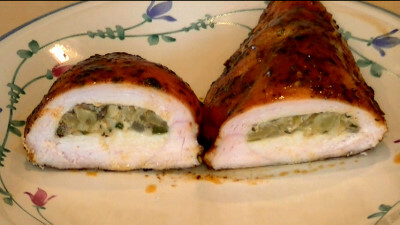 This recipe is my favorite for smoking Chicken breasts. Simple to prepare and full of flavor. First thing get your pit pre-heating to 170 degrees. Wood cookers can start off at 225. 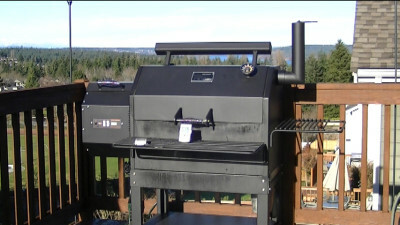 With the pellet smokers I like to smoke for 1 hour at 170 - 180 degrees. It allows for better smoke flavor in the meat. In this recipe I used a 50/50 mix of BBQRs Delight Pecan and Cherry pellets. Chop the vegetables. 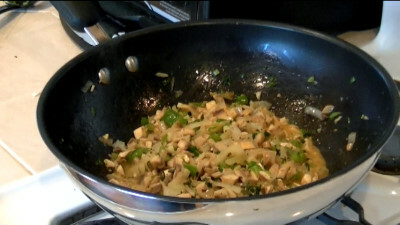 The onions and mushrooms should be coarsely chopped. 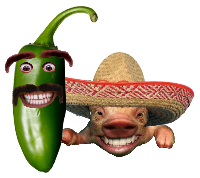 Do a medium chop on the bell pepper and cilantro. Finely chop the garlic. Heat about 1/2 stick of butter in a sauce pan over medium heat. We don't want to burn the butter. Dump in the onions and let them simmer in the butter for 5 minutes. Now add the mushrooms, garlic and green bell pepper. Add in another 1/4 stick g butter. Simmer another 3 minutes or until the mushrooms are softened. Add the cilantro and simmer for another couple minutes. Stir in 2 Tbsp of the Cuban Style Mojo Citrus marinade. This is a great marinade made by Culinary Circle. Remove from heat and let cool a little. Wash your chicken and trim the breasts. Using a sharp knife cut an opening in the large end of the chicken breast. Holding the knife parallel with the cutting board push the knife deep into the breast and using a sawing action open a pocket inside the breast. 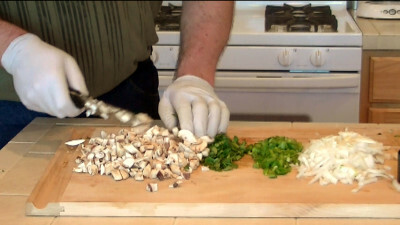 Once all the breasts are opened, begin stuffing the onion & mushroom mix inside the breasts giving each one equal amounts. Use your finger to push the mix deep inside each breast. 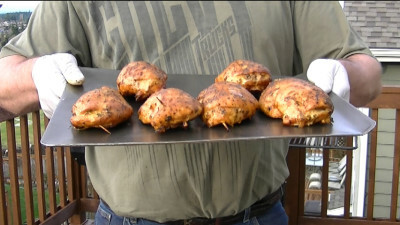 Put the chicken into the smoker and smoke for 1 hour on 170-180 degrees then increase the temp to 225 degrees. 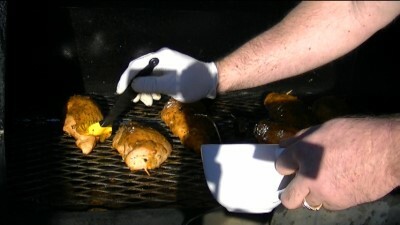 Once the chicken reaches 150 degrees mop both sides of the chicken with the Cuban Style Mojo Citrus marinade. Continue to smoke @ 225 until the chicken reaches 168 degrees. At this point remove the chicken and give it a light mopping of of the marinade. That's it your done. You just smoked a work of art full of flavor!